The 6 x 4" Graduated Skyfire 3 Filter from Formatt is one of the most widely used categories of filters. It enhances reality, adding a touch of subtlety or drama to the image. 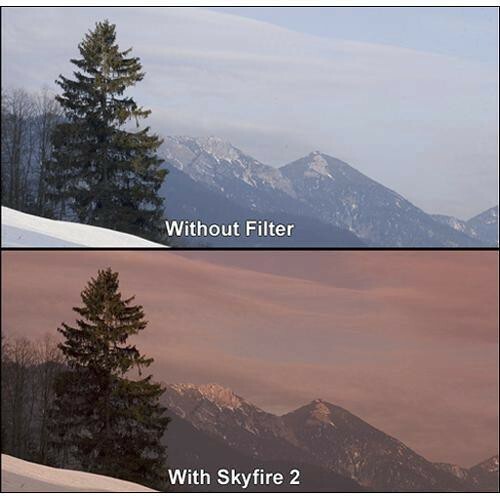 The Graduated Skyfire 3 filter is a more dramatic version of the Sunset filter since it produces deeper colors. This is a very intense filter, designed to give a more spectacular image than the standard Sunset filter. The Grade 3 provides maximum intensity and is used to enhance landscapes when extreme drama is desired.